Native peoples in earlier centuries were stymied when they tried to talk about the European conquest; their pre-Columbian vocabularies had no words to describe such a battering. And it’s like that again. You and I can only peg together language to describe the invasion overwhelming our bodies, psyches, and cultures by technology. And that assault, taken together with the economic/political institutions that fuel it, is swiftly diminishing life’s future on this Earth. Back in the 1980’s and ‘90’s, I thought I had a few words. I was part of a society of activists and thinkers collaborating to refurbish the analysis of technology that the original resisters against industrialism, the Luddites, had initiated. We were a lively collection of folks from countries all over the world. Theodore Roszak. Kirkpatrick Sale. Vandana Shiva. John Mohawk. Gustavo Esteva. Stephanie Mills. Helena Norberg-Hodge. Langdon Winner. Godfrey Reggio. David Suzuki. Jerry Mander. Chet Bowers. Beth Burrows. Satish Kumar. Charlene Spretnak. Sigmund Kvaloy. Susan Griffin. Teddy Goldsmith. Now, weknew how to talk. Sitting together around conference tables at five-day meetings that boasted such titles as “Mega-technology and Development” and “Mega-technology and Economic Globalization,” we proclaimed that the “new technologies that were coming” would wreak a havoc grander in scale than even the industrial revolution had wrought. But what were we expecting? It wouldn’t affect us? Did we think we would go on meeting in luscious locations to spin our theories? Write a white paper or two? Give a rally speech? Hang on to our land lines? And so that cadre of stellar minds fell through the unforeseen cracks that gashed open when tectonic plates of political/economic/technological proportion clanked apart like iron. Most got a computer and a cell phone. Some landed the grant monies they were seeking and clicked into the focus of a more manageable pursuit. And more than one insisted that, for strategic purposes, we not speak of technology any more. And then that ever-so-brightly rising star of resistance -- paralleling one that had begun two centuries before during a comparable siege -- shot into a glorious sky, only to burn away. Plutonium pit. Packbot. Prostate cancer. Broken back. Brain tumor. Beached whales. Wasting elk. Whiplash. WiMAX. iPod. Oil tanker. Iraq. The biggest shopping mall on the planet. The tallest skyscraper. Scrape. Save. Spend. Crave. Credit card. Debit card. Macromind. Multiple sclerosis. Melting ice. “I WANT MY MAMMOGRAM!” shrieks a radio listener like a child. The tantrum occurs on a talk show during my 1990 book tour for When Technology Wounds. Also like a child, the woman carries zero awareness of likely precedents to her susceptibility to breast cancer: like synthetic hormones and pesticides. Or the radiation from last year’s mammogram. The inherent disjuncture of mass society does not propagate the kind of thinking that would unify the parts of the whole. It severs instead. It fragments. It scatters – and lays ground for engaging and defending only one fragment at a time. 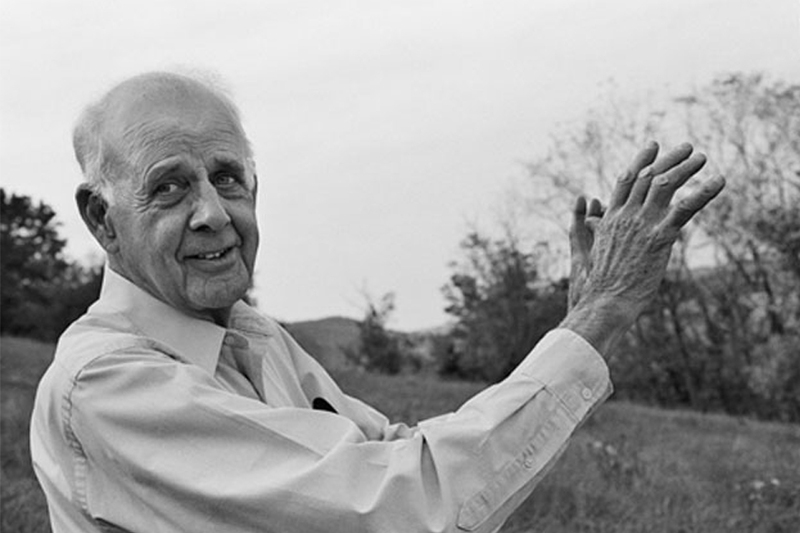 “I am a Luddite!” Such was the scandalous proclamation Wendell Berry bellowed at the first official gathering of our new generation of technology critics. San Francisco was the place, 1993 the year. For the time, the statement was heretical. Since the rebellion (and demise) of the original Luddites at the launch of the industrial revolution some 180 years earlier, this new wave had been constrained by an intellectual context forged by the winners of the earlier conflict: the term “Luddite” had been made into a dirty word, a put-down, a brazen denigration. Everyone burst with laughter –- Wendell was, as always, preposterously right-on -– and everyone breathed in relief. A deep-seated taboo had irretrievably been broken: without further excuse we were going to be who we were. To boot, our work -- which up until that moment had been conducted solo -- could move forward enriched by interaction among a worthy collection of hearts and minds. A small flurry of activity followed. Well, OK: our actions got swept up in the onrush of media attention the Unabomber was getting. In 1995, in an attempt to bargain with mail-bombing Ted Kaczynski, the New York Times and Washington Post published his manifesto, “Industrial Society and Its Future.” Fortuitously, Kirk’s Rebels against the Futurerode this event like a wrangler on a small bull and, in the process, gave readers a glimpse into the long-repressed details of Luddite history. The Jacques Ellul Society was born, named for the French sociologist who had so brilliantly critiqued technological society. One of our group, biologist Martha Crouch, quit the university in protest against its collaboration with biotech corporations. Others took on the fight against bio-specting in Yellowstone National Park. A few stalwart researchers tried to reveal the negative impacts threatened by the entry of computers into education. Stephanie, Kirk, and I regaled a standing-room-only audience in New York City with our theatrical performance Interview with a Luddite, and we all spoke copiously on the radio. At the same time other thinkers and activists –- alternative-technology inventors, Native and land-based peoples favoring traditional livelihoods, monkey-wrenchers, anarchists, and modern rebels against the future –- were challenging technology with their own words and acts. Some dedicated anarchists tore down high-voltage power lines in the American West and liberated lab animals from science experiments; environmentalists draped tall buildings with pro-Earth banners; and a group of simple-living advocates in Ohio put out a hand-set magazine called Plain and threw gatherings for contemporary Luddites, to which they exhorted everyone to travel on foot, buggy, or train. 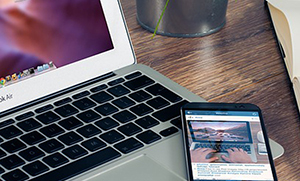 The upshot: the proclamation “I am a Luddite” re-entered the vernacular. And none too soon, we suspected. What we were referring to as the “new technologies” in the early ‘90s have by now facilitated not only the emergence of a global economic order whose means and goals are corporate dominion, ecological ransacking, and mass consumption; they have infused our very rhythms, thought patterns, and identities. Indeed, the upheavals we are enduring are equal in scope and magnitude to those that swept through the early-19th century. Then: the destruction of the commons. The break-up of village life, wild spaces, the family. The separation of work from meaning, city from country, luxury from misery. The creation of slums. Child labor. Environmental illness. Theories of progress, inevitability, utilitarianism, laissez faire. The budding of rebellious but deeply conservative thoughts in the work of Keats, Shelley, Lord Byron, Charles Dickens. The melding of machine with discontent, radical politics with rusticity, hope with passion. Today: global warming, climate upheaval, economic collapse. The microwaving of the planet. The demise of the last wild places left. The exhaustion of oil reserves. The rise of the richest class of individuals in history -– with a parallel fall in quality of life for everyone else. Environmental refugees. Species extinctions. Build-up of nuclear, biological, and electromagnetic weaponry. The continuation of rebellious but deeply conservative thoughts. The melding of cyberspace with violence, radical politics with marginalism, passion with desperation. And is not today’s world that teeters so precariously on its cliff of demise the extension of economic and social patterns that were made painfully evident some two centuries ago? Is not the resistance mounted by courageous bands of weavers, foresters, and villagers in Europe and the United States -– and the systemic analysis they offered -- as relevant now as they once were? My presence at the 1993 gathering of contemporary Luddites began three decades before in a lecture hall at U.C. Berkeley. It was in Professor Allen Temko’s class on the history of the city that I first encountered the ideas of Lewis Mumford. My God! When I read his words, I had to stop every three or four paragraphs and breathe just to contain my excitement. His aim was to merge the intellectual with the passionate, the lofty with the earthy –- and this he did. To the hilt. Born in 1895 and growing up at a time when Americans were swelling with pride over the streamlined possibilities of mass mechanistic society, when “science” and “democracy” appeared to be ushering in a permanent era of peace and prosperity, he pierced through the veneer to reveal the deepest patterns of a civilization in trouble. What stunned –- and inspired -- me was his sweep of vision. In his two-part ‘Myth of the Machine’ series, Mumford described progress as “a scientifically dressed up justification” for practices the ruling classes had used since the time of the pharaohs to congeal and perpetrate power. [iii] He identified the Megamachine as the central theme of Western society: a social construction built upon absolutism, centralization, mechanization, regimentation, militarism, genocide, biocide, spectacle, and alienation – with attendant loss of the very qualities the species had developed through evolution: autonomy, human scale, spontaneity, diversity, communalism, and participation. My own grasp of the dynamics of such a Megamachine was thrust forward by industrial medicine’s perpetration of birth control. After two years of suffering chronic yeast infections from the imbalances generated by synthetic hormones, a physician at Congressional hearings in 1970 rattled the myelin off my nerves with his proclamation that The Pill was “the largest experiment” foisted upon unsuspecting human beings in the history of medicine. Being a victim of medical technology came with some poignancy: I was the great-granddaughter of the founder of the Cleveland Clinic and haled from a family whose members had given their lives to the healing profession. But my suspicion of allopathic medicine was not yet as deeply rooted as it would become; still seeking the quick fix, I replaced my packet of chemicals with the latest pharmaceutical do-dad: the Dalkon Shield Intrauterine Device. And sure enough, with an already depressed immune system from The Pill, I contracted pelvic inflammatory disease. By the time, in the late 1970’s, I met Jerry Mander in the cafés of San Francisco’s North Beach and launched into his Four Arguments for the Elimination of Television, I was fertile for the all-encompassing analysis he had focused upon a single technology. Too, there had been the vision. It had come as a flash when I was taking time off from the intensity of anti-war protest in Berkeley to work on a maple sugar farm in Vermont. The year was 1970; Earth Day was on the horizon. But more crucial to me, Paul Ehrlich’s article in the September 1969 issue of Ramparts magazine -- “Eco-Catastrophe: The End of the Ocean”[vi] -- had jolted my notion of the future. On the farm marvelous insights pushed through the icy drudgery of digging winter ditches, a by-product of physical work I surmise, as if to bring color to black-and-white thoughts. Most often it was a feeling of awe that grew up in me like a crocus through snow. This time though, the insight was a moving picture that took over my inner world: citizens storming factories. I didn’t yet harbor consciousness of the dysfunction of the whole of mass society -- and yet the kind of mass protest we had engaged in to stop the Vietnam War had morphed to a prophecy of what might be required to stop destruction by technology. Just as my reproductive organs were wracked with disturbances from technical interventions, I was catching glimpses of what would unfold as the historical textures of my lifetime. The template that would become mine had been delivered: the personal is political. This blog is a book. Please feel free to read the next chapter now. Go to the Table of Contents under the introduction on the right side of the page and click on the next chapter. 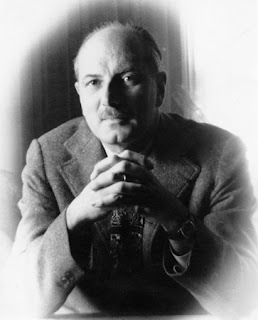 [i] Lewis Mumford, Technics and Civilization. NY: Harcourt Brace, 1934. [ii] Lewis Mumford, The Myth of the Machine: The Pentagon of Power. NY: Harcourt Brace Jovanovich, 1970, preface. [iii] Lewis Mumford, “Prologue to our Time,” The New Yorker, March 10, 1975, p.45. [iv] Lewis Mumford, The Myth of the Machine: The Pentagon of Power, p. 7. [v] Lewis Mumford, The Myth of the Machine: The Pentagon of Power, p. 352, Ill.14-15 (between pp. 180-181). [vi] Paul Ehrlich, “Eco-Catastrophe: The End of the Ocean,”Ramparts, Vol. 8 No. 3, September 1969, pp. 24-28. [vii]Jeffrey Gholson, cover photograph, Ramparts, September 1969. 0 Response to "I: “I am a Luddite” "
Copyright © 2018 Langdon Winner - All Right Reserved.